I’m back from vacation and ready to talk movies! With the release of the Tomb Raider reboot, I thought it would be interesting to check the track records of other video game to movie films and franchises. While a great video game movie has never been made (they’ve all had issues) the world wide box office success of some surprised me. And for a few, it was rather horrifying. Mortal Combat - Paul W.S. Anderson directed what amounted to a good action flick that did decent at the box office in 1995 - $122.1 million. Unfortunately, the director did not return two years later for Mortal Kombat: Annihilation and its box office tumbled to $51.3 million due to a messy script. Final Fantasy: The Spirits Within was hailed at the first big breakthrough in realistic animation. Sadly, it wasn’t. Nor was it really anything like the video game. While it did take $85.1 million at the box office, it cost $137 million to make. Not good. Prince of Persia: The Sands of Time was to be the first in a franchise for actor Jake Gyllenhaal. And while this fun action flick raked in $336.3 million in 2010, it cost $200 million to make. And thus, no sequel followed. The first video game movie was Super Mario Bros. in 1993. It cost $48 million to make and this bomb of a film only earned $20.9 million. Wing Commander came out in 1999. It cost $30 million – and only made $11.5 million. Ouch. House of the Dead came out in 2003. Directed by the infamously horrible Uwe Boll, this $12 million dollar film only brought in 13.8 million. Uwe Boll’s Blood Rayne followed in 2005. Costing $25 million, it only earned $3.6 million at the box office. And now the icing on the cake! Postal, his 2007 offering (which was a tasteless video game made into an even more tasteless movie) only earned $146,741.00. That’s $146 thousand, not millions! Boll, congratulations for hitting the very bottom of the barrel. The first Lara Croft Tomb Raider came out in 2001. While it cost $115 million to make, it raked in $274.7 million, enough to greenlight a sequel. Sadly, Lara Croft Tomb Raider: The Cradle of Life only made $156.5 million. Angry Birds cost only $73 million to make and brought in $349.8 million despite lackluster reviews. Warcraft brought in the biggest single-movie total in 2016 with $433.5 million. Foreign audiences accounted for a large percent of its take, eating up the first incarnation of the World of Warcraft. The first film came out in 2002, directed by Paul W. S. Anderson. It cost just $33 million and made $102.4. Resident Evil Apocalypse followed in 2004, making $129.3 million. Resident Evil: Extinction was 2007 and it made $147.7 million. Then Paul W.S. Anderson returned in 2010 for Resident Evil: Afterlife. It made $296.2 million. The director continued with Resident Evil: Retribution in 2012, raking in $240.1 million. The sixth film, Resident Evil: The Final Chapter, came out in 2017 to the tune of $312.3 million worldwide. The franchise grand total – over $1.2 billion. Now, I read the first book of the series and wasn’t impressed. Having said that, the book was light years ahead of this film. It seems like they tried to cram several of the books into one hour and a half long movie. It would be like trying to cram Lord of the Rings or even the Harry Potter series into one short movie. It certainly wasn’t the first book – I recognized the Gunslinger and the Sorcerer and not much else. Even if you’ve never read the series, this film was very disappointing. Short on exposition, character development, and world building, it’s like a bad CliffsNotes version of what the movie could’ve been. And while watchable, it’s also instantly forgettable. I reviewed this film when it came out last November and you can read that review HERE. It wasn’t perfect but it was a lot of fun and this DC fan loved it. Now that it’s out on video and I’ve seen it a second time, I wanted to add to that review. I liked it even more on the second viewing! There were a ton of humorous scenes and moments that I’d forgotten. Plus knowing the story, I could see there was a lot more character development than on the initial viewing. The action also just rocked. After the film ended, my wife turned to me and asked what film the critics saw. I still have no idea, either. DC hating, Zach Snyder hating – who knows? Or just people who don’t understand the difference between Marvel and DC films. Marvel gives us big-budget action-adventure films based on comic book characters. DC gives us comic books brought to life, and there is a difference. Please welcome new IWSG Admin Shannon Lawrence! She will be rocking the newsletter starting next month. Last week while I was on vacation it was my turn at the IWSG site and my article was on lessons learned from really bad movies. Check it out if you missed it! In 1959, nine Russian students set off on a skiing expedition in the Ural Mountains. Their mutilated bodies were discovered weeks later. Their bizarre and unexplained deaths are one of the most enduring true mysteries of our time. Nearly sixty years later, podcast host Nat McPherson ventures into the same mountains with her team, determined to finally solve the mystery of the Dyatlov Pass incident. Her plans are thwarted on the first night, when two trackers from her group are brutally slaughtered. 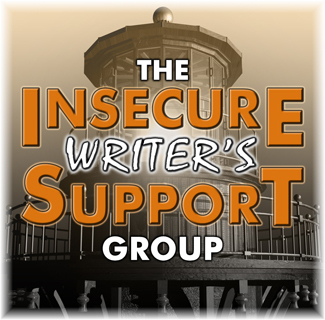 Will see you on April 4 for the monthly IWSG posting – plus the April movie preview and a guest! Never seen Rango, so wouldn't have got that one. I've seen all the video game movies listed except for the losers, all but mario bros. Boll sure knows how to hit the bottom of the barrel, such a whiner too. Mortal Kombat I enjoyed, but many others were few and far between. I hope your vacation was lovely. As I read your posts I realise what a small life I lead. No movies, and no video games. Congratulations to JH Moncrieff. The books sounds dark, challenging and intriguing. Not being a movie goer I don't get to see the movies you review but it great to read what is going on in the movie world. Welcom back from your vacation Alex......you were missed. 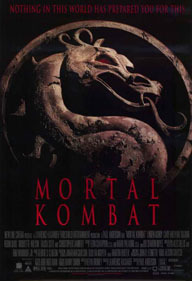 I think I must tune out when video games are made into movies because I was only aware of the Mortal Kombat one! Interesting about Dark Tower. I know that's considered Stephen King's "book of his heart" and that it has a certain cult following. I can't imagine the movie would have satisfied the cult following if it tried cramming everything in. We just watched Justice League on Demand this past weekend. I did catch the humorous parts that had me chuckling, my husband wasn't as enamored as I was. I really liked the movie and definitely looking forward to the next installment. I hope you had a wonderful vacation, Alex. Also, have a Happy Blessed Easter. I saw the first two Lara Croft movies and liked them. I've also seen the first three Resident Evil movies and liked them (the first two the best). I tried to read the Dark Tower but as much as I love Stephen King, The Dark Tower did nothing for me. I think making a movie into a game is tough because a game isn't like a movie which is like a book with a plot and developed (hopefully) characters. Most games have little back story and no character development. I also heard about that Mario Bros, movie. Sounded like a horror show both for viewers and those who starred in it. It's a shame about The Dark Tower movie. I only read The Gunslinger and that was ages ago, but I know so many people were looking forward to the movie. video games and video game movies are not on my radar. I am definitely not in the target audience. I attempted to read the first Dark Tower and gave up. Oh well. And I do need to catch Justice League based on both of your reviews. You don't steer me wrong (too often - grin). Hope you had a relaxing break. I did see Super Mario Brothers, and yes, it's not super. I really need to catch up on my superhero movies. Pat, Mortal Combat was a fun movie. Elizabeth, I'm sure fans were really disappointed. Catherine, I'm really looking forward to the next one. Marcy, it's really hard to develop a full story from a game. Joanne, hope you enjoy it! Sandra, that made me chuckle. Surprised Street Fighter wasn't on the list. The movie was awful. Still can't believe I ever watched it. Recently watched Valerian and the City of a Thousand Planets on Amazon Prime. Thought it was okay. It showed initial promise but fizzled out somewhere. Can't wait for the Aquaman movie. And Green Lantern. Think they'll ever make the Martian movie? Teen Titans? I vote Zendaya to play StarFire. I liked Justice League. It still had its problems, but at least DC is catching up to the Marvel magic. Let's see if they can continue to get better and better. I still haven't seen Justice League, but I wouldn't say the DC movies are anything near comic books brought to life. I loved Mortal Kombat. Owned it on VHS in fact. Never a fan of the game, so it was all about the movie. And I had no idea the Resident Evil movies make so much money. No wonder they keep making them! I've read all of the Dark Tower books, not sure I want to see the movie. I do NOT like Matthew McConnehay (however you spell his name). Plus I think the movie wasn't casted correctly. But I got the DVD as a gift, so some day I may watch it. Maybe. Pleased to say that I've not seen any of those video game movies nor have I played any of those video games. I'm coming to the conclusion that video games are one of the big sources of evil in our society today. Look at the wackos blaming gun violence on guns. Wrong! Violence comes from within the human who perpetrates those acts. I wonder how many of the mass shooters had their training in video games. I wonder if anyone has done a study on the correlation of violent video games and violent films with those who do violent things. I have a strong feeling they are related. I'm a big fan of the Dark Tower series. I loved it from the first opening line, through to the last. The film was good, but not as good as it could have been. It's supposed to be a sequel to the series, and the way SK ended it definitely left room for this film. But I think because of this, it relied too much on people already knowing the characters and the stories instead of introducing them in the film, and it did feel like it was trying to squeeze all 7 books into an hour and a half. Could have been done better. One game to movie film you didn't mention was Assassin's Creed with Michael Fassbender. I actually liked this film but don't know how much it cost or grossed. I like the Resident Evil series. I'd love to be in as good a shape as Milla. Woo Hoo FINALLY! Alex my friend you finally wrote something I happen to know about Woo Hoo! That is "The Dark Tower", my favorite book in the whole wide world. I cannot begin to tell you how much I loved that book. I could not put it down. When I was getting towards the end I decided to go get the rest of them, which was a total of seven (7) books. Unfortunately, I have not read the others. I just have to wait until I'm in that mood again. The Dark Tower was an awesome book & the way he wrote it so pictorially it truly held my interest. When I first got the book my sister-in-law had already read the book and I asked her if she had book II, and she said, "WHAT?" You don't know? He hadn't wrote it yet... omg I was fit to be tied. I felt like calling Mr. King up & give him a piece of my mind, BUT...... he didn't come out with it about a month later so I got lucky. I started to read it and got half way through it, but the thought of knowing I wouldn't get No. 3 until it was wrote really turned me off. :( Well, I have all of them now & some day I'm sure I'll read them. Oh and I'm doing your Alphabet challenge again this year. Bet you'll never guess what my theme is!! bwahahahaha.... Have a rockin' week my friend! hugs... Oh, not to much reading time cuz I'm crocheting a bed apron for my nephew & his future bride and has to be done by June 3rd. Whew!!! One of the losers was one of my all-time fave movies, also had the first previews of Star Wars Phantom Menace when it was first coming out which is what made me go see Wing Commander. I now own it and rewatch when the mood hits. They use the news of the preview as a one of the draws for that movie. Gaming has gone so over-the-top big that my mind boggles. The guy with green hair who makes $$$$ just for letting other watch him play is what amazes me the most. I saw the first Tomb Raider, and I wasn't exactly thrilled, so I'm not sure about sitting through another one. Maybe. Congrats to JH Moncrieff. That story has to be darned scary. Lidy, Street Fighter was one of those I just ran out of room. I'd watch a Teen Titans movie! Ken, if early reviews of Aquaman are true, they will continue to improve. Andrew, the only reason they keep making them. And I devoured DC as a kid, so they are come to life in the movies for me. Ellen, I have more reviews coming next post! Stacy, everything about that film was off. Lee, I think the violence in society comes before the games - they are merely a reflection. DRC, that was another film I didn't have room to include. Marie, you need to read them! Sure I know your theme. No Challenge for me though. Clearly, they haven't put the right brains together for a video game movie. The concept is stellar, but they're likely too hurried to make money. They need to consult with someone like you. I haven't seen the gaming movies I'm afraid, but a friend saw the new Lara Croft the other day and enjoyed it. Hope you had a nice break last week. Of the video games to movies, I've only seen Lara Croft Tomb Raider. I did enjoy it. I still need to see Justice League. I'm looking forward to Aquaman. Jason Momoa is awesome. Angelina Jolie will always be Lara Croft to me. :-) Justice League was fun but suffered from being forced to be less than two hours. I don't play video games. Well, I did play the Playstation Xena game, but it kept kicking me off as I killed too many civilians with my Chockra while trying to kill villains!! Robyn, they do! I'm just waiting for a MYST movie. Cherie, that's what my wife says. Annalisa, you need to see it. Video game movies are considered the kiss of death, but there have been a few notable exceptions. You listed the worst, but man "Postal" bombed hard. Of course the original was a niche game to begin with so it had not brand recognition. The new Tomb Raider movie did pretty well considering. Congrats to the new admin Shannon! I've heard good things about the book Save the Cat. Good choice for the book club. As for video game movies... It's not like they generally have a good story to start from. One of these days someone will get it right. And then we'll get a boat load of horrible rip offs after. I'd definitely come with you on Mortal Kombat. It was the truest to its source material while also being accessible. I also think Silent Hill is excellent for the fans of the games, but a little too weird for newbies. While I wasn't wild about Justice League, all the parts where Superman and Flash shared the screen were great. There's just something about video games that doesn't work in movies. I really wish they'd stop trying. Especially Uwe Boll. The Resident Evil movies are my favorite, though I never played the games. But Lara Croft was always my favorite video game, and I did enjoy the movies with Angelina Jolie. I'm interested about this new one. Maurice, Postal may have been the lowest grossing film of the decade. Maybe two or three decades. Liz, good point about the rip-offs. John, Silent Hill was really good. JE, why do people keep giving that director money!? Our host daughter just saw Tomb Raider over the weekend and loved it. I have four movie passes sitting on my desk that were gifted to me, so I had better get myself out to the movies. I am not a vidoe game fan, so your list didn't help too much. At least I got some of your animation movies correct. Video games have come a long way since the Commodore 64. Friends loved Spriteman but now we've great choices with the internet and Marvels Comics. My son (when in teens) had those games nailed. Looking forward to Aquaman. What's not to like? Enjoyed Pacific Rim yesterday. After #1, I couldn't see how it could make into #2. Full theater, lots of clapping at the end. Welcome back I hope you had a wonderful vacation! I am not very good at video games. I do remember seeing a Mario Brothers movie once on TV. Welcome back Alex. There are some great offerings here but apparently not too good according to your assessment. Logically a video game is meant to be enjoyed repeatedly. The story-line might be similar with slight variations from one episode to the next in the same game. Perhaps audience capture would wane after a while but the excitement in a video game situation is maintained.Perhaps that might the reason. Ian, you become your own RiffTrax. Susan, good to hear you enjoyed it. Truedessa, I bet that was it. Hank, good point. Maybe one day they will make a Choose Your Own Adventure style movie like a video game. I'm a gamer, but I haven't played any of the games-into-movies - unless you include Tomb Raider as just started playing the newer version. I tend to choose games derived from movies or books, like Star Wars: The Old Republic and Lord of the Rings Online. My A to Z blog posts will make that obvious. Hi Alex! For some reason the Black Tower hooked me early and hard. The only frustrating thing about them was that you NEVER knew if and when the next book in the series would be released. I'm not sure if the story would transfer well to TV or film. Most of King's works don't. Right? I thought Tron was a winner for a game to movie attempt. Not great though. My kids are dying for a Mass Effect or Skyrim movie. I'm still holding out for a Frogger trilogy. I think, I saw a movie once that had two alternative endings you could watch on the dvd. Sorry to say, I don’t remember the title of the movie. Alex, you see a lot of movies. Do you recall ever seeing alternative endings? It might make for a good post. Movies based on video games aren't my thing. I am looking forward to reading J.H. Moncrieff's latest book. I'm a huge fan!! I've managed to avoid exposure to video games and video game movies. As a matter of fact, I found even the old computer games like Digger and Minesweeper so addictive I had to delete them. When I was younger I loved the Mario Brothers movie. I'm curious to if I'd be able to enjoy it now as an adult. Roland, looking forward to your posts then! Pat, ironically Tron was a movie and then a game. Truedessa, I'll have to search, but yes, I do recall one. Patricia, let us know if you do enjoy it. I haven't seen any of the losers. Where did Assassin's Creed land in the numbers? I kind of liked that video game adaption movie, although my hubs and my kids didn't. Thanks for the review on Dark Tower. We are saving our movie money for the next Avengers movie at the end of April ... or maybe early May for our family. Although we do plan on catching up with some movies via Netflix, Redbox, and Amazon Prime. I think we are always behind these days, with the exception of Marvel movies (a cinematic universe that my whole family enjoys). I really don't understand how such really bad movies with staggering budgets ever get greenlighted in Hollywood, but they do. I blame studio heads so cynical they think in terms of formula and what will make big bucks, rather than producing stories they feel passionate about. That said, I'm looking forward to seeing Tomb Raider. I don't have high expectations, but I figure it'll be enjoyable. Loni, it really had some funny moments. Tyrean, I think that film was on the low side in box office. And you have to see Avengers on the big screen! Erika, you'll enjoy it even more the second time. Hi Shannon! 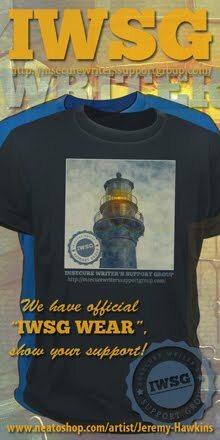 I look forward to reading your newsletter for the IWSG. I'm excited for Aquaman, and I haven't touched Justice League since it has been out on video rental. Maybe I should fix that. I might just wait until it inevitably shows up on HBO or one of the other movie sites that I already subscribe to via Comcast. I did purchase Thor: Ragnarok on 4K UHD Blu-ray and 4k is spectacular (my new toy this weekend was a 4K UHD Blu-ray player from Amazon). I have hopes that Rampage will be a good adaptation of a video game. If anyone can do it, then Dwayne Johnson has the best chance. For what it's worth, Jumanji was fantastic. Even though that's not so much a video game adaptation as people going into an actual video game, I loved it. I am hesitant (though) that Dwayne Johnson will ruin the reboot of "Big Trouble in Little China." For one, I love Big Trouble and I didn't think it needed to be rebooted. That being said, I just can't see Dwayne Johnson as Jack Burton. Sigh. Glad you enjoyed the break. I got Shrek right and I'm thrilled :) I watched Justice League on the big screen and liked it a lot. I also watched the Lara Croft film when Angelina played the role, gosh a long time ago! And I used to play Prince of Persia way back in the 90's in my lunch hour, very unsophisticated clunky graphics the version we had, but I and my colleagues enjoyed it. Even the monitors were clunky, apart from being B/W. Thank you for the nostalgia fix! I'm not a video game movie fan by any means, but what about Silent Hill? I thought it was pretty good (my apologies if 20 people have mentioned this before me). Although I have played a lot of video games in my life- I don't think I have ever seen a movie made from a video game. I love playing Mario Brothers back in the day- but I didn't even know there was a movie! It's funny how different people see movies. I recently watched the Dark Tower, and even though I've read all of the books, and it is nothing like them at all, I kind of liked it. Now, I'm generally a snob about adaptations matching the book (s), but I credit the huge time difference between my reading of the books (finished them 15 or 16 years ago) and seeing the movie. I almost approached this as a movie vaguely similar to a series I previously read. A new interpretation, perhaps. In that way, I could see the interesting pieces in what they created. A good, free (Netflix) way to pass a couple of Saturday hours. Lots of movie are bad CliffsNotes summaries. Why cram so much into one movie? I just don't get it. Welcome, Shannon! We appreciate you taking on the responsibility. Great to see Shannon has joined the IWSG team. She rocks. I loved the Dark Tower books so much I have blocked out the movie completely LOL. Michael, Jumanji really surprised me. I hope Johnson can pull off Rampage. Big Trouble is an awesome movie and does not need to be remade though! JH, it was a good film. I just ran out of room. Jess, and you don't want to see that film, either. Kim, a little distance probably helped. Christine, and she made a mean Eva. To me, "Dark Tower" wasn't nearly as good as King's other books. But if you want to be scared? Read Shannon Lawrence's new book of short stories. Yowza! Scary good. I watched the Mario movie with my children. They were pretty young and they liked it! I read the first three books of the Dark Tower series and then I got lost. I think I stopped reading King after attempting that. Not surprised the movie was bad. I agree with you about Justice League. It's even better on rewatch. Hope you had a great vacation Alex! Thanks for all the reviews! My middle brother is nuts over video games! LOL! I enjoyed Lara Croft Tomb Raider and Resident Evil. That is alot of money they both brought in! Wow! Have a Happy Easter! No! Alex, No! I beg you to read the rest of the Dark Tower series. Please!!! The first book was a slow start. I almost gave up on the series when it first came out but decided to give the second book a shot, and then that's when it really picked up. As for the movie - meh. I'm glad I waited for it to come out on DVD. I've seen a bunch of the movies, still need to watch Warcraft though and that looks like it would be good. 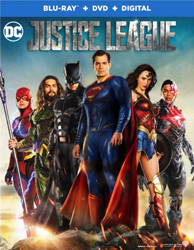 I just watched Justice League last week and really enjoyed it. I don't play video games so I've never played any of the games. I'm surprised the Mario Brothers movie didn't do better. Too bad Angry Birds wasn't better. It looks like a lot of people went to see it because they were expecting more. Hope you enjoyed your vacation. Happy Easter! Elsie, I might give it a try then. I haven't seen hardly any of the game to movie flicks. I did see Resident Evil and enjoyed it. I hadn't played the game so I had no expectations. Congrats to JH. Sounds like an edge of the seat thriller. I know a lot of people hated on Justice League, but I thought it was pretty good. Better than Man of Steel and BvS. The humor was maybe a little misplaced at times, as Whedon loves to do, but I was entertained. I'm looking forward to Aquaman too! Fan of the Wing Commander and Dark Tower movies. I caught Super Mario Bros. recently. It's not any better or worse than the other movies like it from that era. It's really a matter of a bad reputation. Trust Pat Hatt to get the trivia right! I'm always thankful for your movie reviews, so I know where not to waste my time. And I like the way you differentiate the way Marvel and DC present their movies! Good way to think of it. Books to movies usually disappoint me, and that's a shame . . . but it makes me very cautious about what movie I'll bother with if I've loved a book. I did enjoy your IWSG post with the lessons from movies! That was terrific and so accurate. Hope your Easter was wonderful. I will definitely check out Moncrieff's new book. At first I thought it was another movie review and got really excited. I was disappointed in the Dark Tower film. It oversimplified the story, left out key characters, and pretty much killed any chance for a sequel. Maybe someone can try again in twenty years. The book series is a different story, but the first book is the weakest of the seven. The rest are so much stronger. You should have started with the second. Looking forward to tomorrow's interview and movie preview. Hope your day is pleasant and productive, Alex. I thought the Hitman movie was pretty good. I was disappointed when they didn't make any more of those. My husband liked the Max Payne movie. I thought it was a middle of the roader. Tony, kind of like Howard the Duck? Lynda, thanks! And I've been told to try another book. Sandra, yes, and hope it doesn't disappoint. I've only seen a couple of movies on this list, and I've never seen a Resident Evil movie. I've always liked Milla Jovovich, so I should take the time to watch one of these days. Beetlejuice? I haven't seen Howard the Duck. Music is definitely a big source of inspiration for me too!!! So dude, tell me what is this Rakuten Kobo stuff? I wanted to buy one of your books... well, at least I finally decided too with my stash at Amazon! ~hehehe~ shhhhhh I never carry money, so when hubby does give me cash to go buy something he always tells me to keep the change then I save it for mad money. ~hehe~ I usually buy something frivolous! lol I bought your book Dragon of the Stars. It caught my eye & I'm in the mood for a good book (which doesn't happen to often). My favorite book is Stephen King's The Dark Tower. I finished No. 1 and now on the second series.. which is taking me forever... but believe it or not I think I want to reread No. 1 to refresh me. Anyway, what did you take with our A thru Z stuff... I really don't see it or am I just dense? :( I took the Music one as you probably would've guessed so thank you for stopping by. BIG HUGS & HAVE A ROCKIN' WEEK. Oh & thanks for the review I really like Dwayne Johnson. Mortal Kombat is a guilt pleasure for me, and I loved Final Fantasy: The Spirits Within (would I be me otherwise? lol). I actually saw one of The Resident Evils, but I couldn't play the game, too scary!